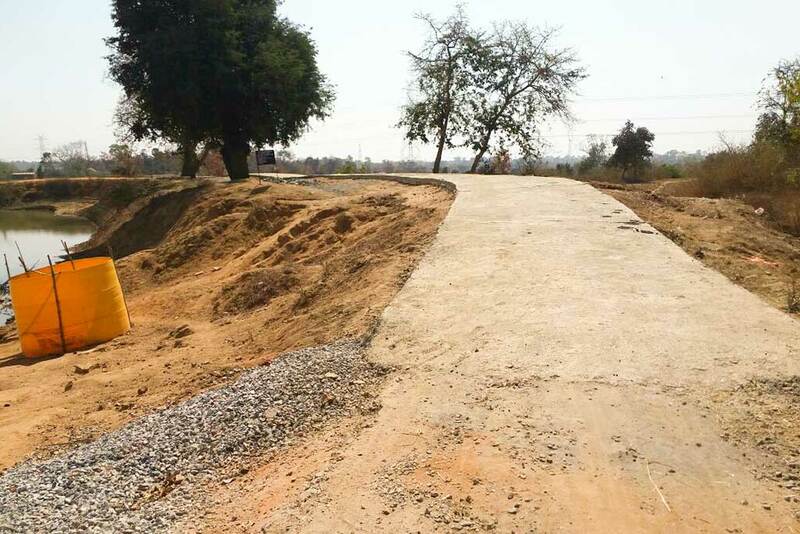 The road construction is a huge relief for villagers in Devgain. It was able to happen through the efforts of Chandan along with Block Development Officer (BDO), Gauri Shankar Thakur. Now a 150 ft PCC road (Plain Cement Concrete) has been built next to the village pond. Chandan initiated talks with the BDO in May 2016. It took all this while for the government processes to complete and finally the road was completed this March after 20 days of construction. In addition, many village men worked as labourers and thus managed to earn some money.